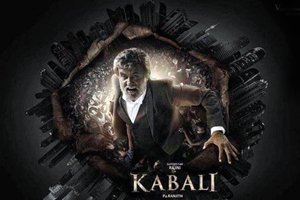 Kabali is a 2016 Tamil and Hindi language gangster-drama film directed by Pa. Ranjith and produced by Kalaipuli S. Thanu. The film stars Rajinikanth as the title character, whilst Taiwanese actor Winston Chao, Radhika Apte, Dhansika, Dinesh Ravi, Kalaiyarasan, and John Vijay star in other pivotal roles. The soundtrack of film is composed by Santhosh Narayanan, with lyrics penned by Raqib Aalam. Here is the link of all the songs lyrics and videos of Kabali.